Motel 6 has been agreed to pay up to $7.6 million to Hispanic guests to settle a lawsuit claiming it violated their privacy by sharing guest lists with U.S. Immigration and Customs Enforcement (ICE) agents, according to reports. The company also agreed to a two-year consent decree that bars it from providing guest data to immigration authorities without subpoenas, warrants or threats of serious crime or harm, Reuters reported. The agreement still needs court approval. "Plaintiffs and Motel 6 have filed a proposed settlement agreement that would resolve the lawsuit between the two parties if it is approved by the district court," Motel 6 and the Mexican American Legal Defense and Educational Fund (MALDEF) said in a joint statement. The Phoenix New Times reported in September last year, citing court records, that ICE agents made at least 20 arrests at two Motel 6 locations in Phoenix between February and August 2017. Employees at the locations said it was standard practice to give guest information to ICE, according to the paper. In January, MALDEF filed a lawsuit claiming Motel 6 violated Latino immigrants' and other guests' civil rights by voluntarily giving personal information to ICE agents. "In September 2017, when this issue emerged, the company launched an investigation and issued a clear directive to all locations nationwide, emphasizing that the practice is prohibited," Motel 6 and MALDEF said in their joint statement. "Motel 6 fully recognizes the seriousness of the situation and accepts full responsibility for both compensating those who were harmed and taking the necessary steps to ensure that we protect the privacy of our guests." 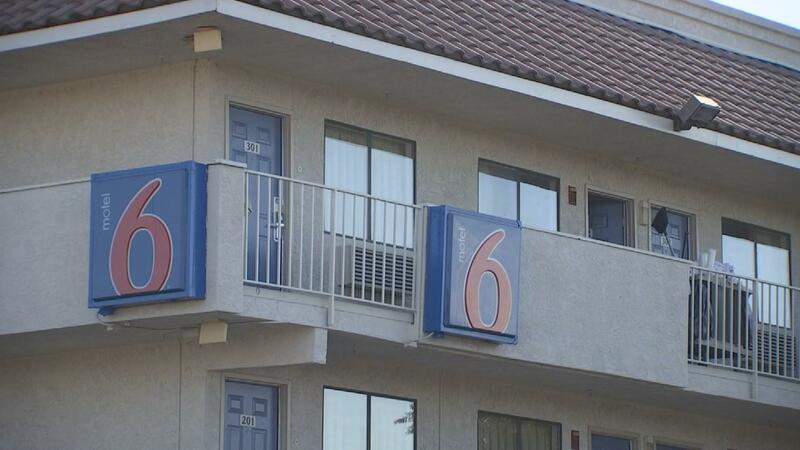 "As part of the agreement, Motel 6 has implemented additional controls to protect private information and enhance corporate oversight in cases where law enforcement requests information, including when lawful requests are made," the statement said. "The agreement, if approved by the court, would also establish a claims process for both named plaintiffs and others who were impacted by the sharing of guest information with immigration authorities," it added. Sri Lanka's defense minister said seven suspects are in custody after a series of explosions that targets churches and hotels in the capital city Colombo and elsewhere. More than 200 people have been killed. Elizabeth Palmer reports.